Very few things surprise me anymore in real estate. However, when this listing popped up in MLS this morning, it caught my eye. Purchased new from JTS on 1/30/06 for $1,344,500. Took out $237,000 more on 2/16/07 for a total loan balance of approximately $1,412,300. Bank of New York purchased home for $926,345 on 10/1/07. Feel free to draw your own conclusions on this one. Looks like this house was purchased twice by straw buyers and given back to the bank at a loss! Cra-zy. "Cubic air" where were the upgrades and finishes you might expect at $1 mil+??? (Long time lurker), this one absolutely stunned me. I see Moody's was far kinder to the state bond rating than S&P. Ok... but that assumes some pretty steep budget cuts. Where? Its going to be ugly all around. The Bank of New York has lost millions of dollars on JTS deals. 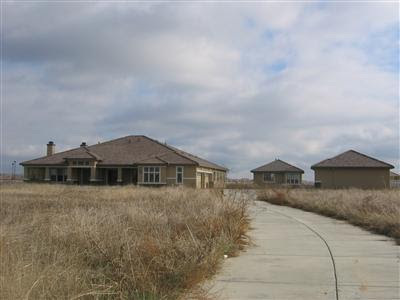 I know of multiple JTS houses they have foreclosed, losing $200,000 to $500,000 per house. Many of them look to be cash back mortgage fraud. The bank may want review into the actions of the sales team and the process by which the reported funny money was facilitated by the home builder. Of course, JTS may have nothing left with which to pay damages, if they were found guilty. I bet the Bank of New York mourns the day they became a JTS "preferred lender".